Welcome to the home of SA Coach Charters & Bus Rentals, the most comprehensive site and service for the transport needs of everyone – wherever they are and wherever they need to go – in Southern Africa. At SA Coach Charters & Bus Rentals we can find you the most affordable package when you need to hire a luxury vehicle or coach; we can secure you the most inclusive deal when you are looking at self drive vehicles. We can even take care of your holiday car hire quickly and easily, and we can’t wait to show you all of the new and exciting additions and developments there have been in luxury coach hire in South Africa. We are strong believers in the saying – life is a journey, not a destination. As such we want to make sure that every journey you take in your life is a special one, not to mention a comfortable and easy to organise one – and every so often a luxurious and indulgent one. 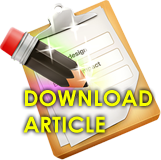 However, we also understand that time and money is the main concerns for most people at the moment – primarily not having enough of either. That is why we take the stress and the time consuming hassle out of organising transport anywhere in South Africa. 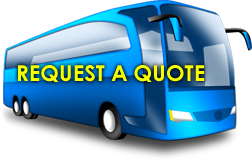 Rather than calling every hire company in your area to find the best deal, or trying to organise connecting coach hire when you are travelling a long distance, you only have to give SA Coach Charters & Bus Rentals the details of your transport requirements once, and we will take care of everything else. We work with the leaders of the transport industry in South Africa and we can negotiate the best price on your behalf, and leave you free to organise the other aspects of your journey or event.